HAS LIBERATION THEOLOGY BEEN LIBERATED FROM ITS ‘CAPTIVITY’ BY REVOLUTIONARIES? G. Gutiérrez, G.L. Müller, “Dalla parte dei poveri. Teologia della liberazione, teologia della Chiesa”, Edizioni Messaggero-EMI, Padova, 2013, pp. 192, euro 15,00. 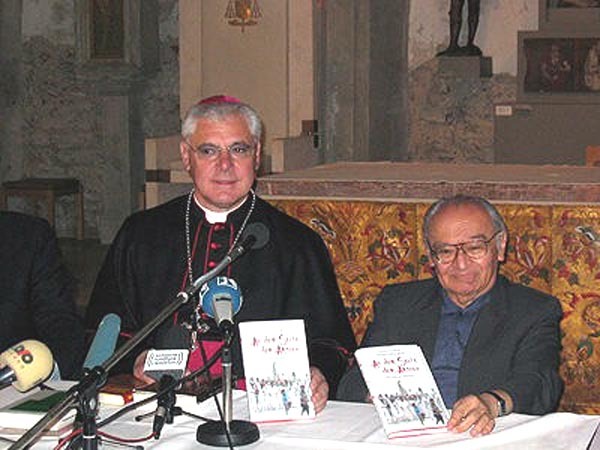 The book was released in Germany in 2004 without raising any particular stir, but this Italian reprinting has been hailed by some as an historic turning point: almost as if it were the signing of a peace treaty between liberation theology and the magisterium of the Church. Gutiérrez is considered one of the fathers of liberation theology, and Müller was his pupil and admirer. So much so that when in 2012 Benedict XVI called him to head the congregation for the doctrine of the faith, many demonstrated surprise. But evidently Ratzinger saw as acceptable the interpretation that Müller gave of the positions of Gutiérrez, if he not only made him prefect of the congregation for the doctrine of the faith but also entrusted to him the supervision of the complete edition of his theological works, which in German was already almost halfway completed. The expression of Pope Francis: “I dream of a Church that is poor and for the poor” has been taken by many as the crowning of this absolution of liberation theology. But it would be naïve to consider the controversy closed. Jorge Mario Bergoglio has never concealed his disagreement with essential aspects of this theology. His theologians of reference have never been Gutiérrez, nor Leonardo Boff, nor Jon Sobrino, but the Argentine Juan Carlos Scannone, who had elaborated a theology not of liberation but “of the people,” focused on the culture and religious sensibility of the common people, of the poor in the first place, with their traditional spirituality and their sensitivity to justice. In the judgment of the brother of Leonardo Boff, Clodovis, the event that marked the farewell of the Latin American Catholic Church to what remained of liberation theology was the continental conference of Aparecida of 2007, inaugurated by Benedict XVI in person and with its protagonist Cardinal Bergoglio. Clodovis Boff developed precisely in that period his “conversion.” From being a leading exponent of liberation theology he became one of its most biting critics. In 2008 the dispute erupted between the two brothers. In the judgment of Clodovis, the “fatal” error into which liberation theology falls is that of making the poor the “first operating principle of theology,” substituting him for God and Jesus Christ. The danger that the Church could reduce itself to an NGO is an alarm bell that Pope Francis has rung repeatedly. It would be deceptive to overlook this, in rereading the book by Müller and Gutiérrez today. The following is a preview of one of the pages, signed by the prefect of the congregation for the doctrine of the faith. The ecclesial and theological movement of Latin America, known as “liberation theology” and which after Vatican II found a worldwide echo, is to be numbered, in my judgment, among the most significant currents of Catholic theology of the 20th century. If it is true that Vatican Council II was the event that most marked the history of the Church in the past century, then it is possible to subdivide the history of theology into two phases: a preparatory phase, which began around the end of the first world war, and a phase of elaboration and execution, which was started following the Council, beginning in 1965. For the period that begins in 1920 must be mentioned all those movements of renewal – like, for example, the biblical-liturgical movement, the grand evocations of the social doctrine of the Church and a renewed comprehension of what is Church – that led to the Council, giving it its decisive imprint, and that afterward, by means of the conciliar documents, were integrated into the overall tradition of the Church. If we want to understand what change really took place at the Council, we must not only pay attention to some of its statements but also take into consideration the new categories adopted to express the origin and mission of the Church in the world today. Thus divine revelation is understood not as information about supernatural realities to which obedience must be paid from the outside on the basis of God’s authority, so as to be rewarded for this after death with otherworldly beatitude. Revelation is rather the self-communication of the Trinitarian God in the incarnation of the Son and the definitive outpouring of the Holy Spirit, so that God himself may be known and welcomed as the truth and life of every man and as the end of human history. The Church is rather, in Jesus Christ, sign and instrument of the universal salvific will of God with regard to all men. The Church, as “communio” of believers, is at the service of humanity with the word of God, with the sacrificial offering of its life-giving salvation and with the demonstration of the being-for-others of Christ in the diaconate for the poor, for the disinherited, and for those to whom dignity and justice are denied. Of decisive importance, in the Council, are the philosophical-anthropological categories of person, dialogue, and communication. The significance and importance given to the one to whom God communicates himself lies precisely in his being a person, and, more precisely, in his being a person inserted corporally-materially into the space of history, society, and culture. Now, without the Church advancing any totalitarian claim on society – because it acquires its identity by means of faith in Christ and clearly distinguishes itself from other orientations of faith and other religions – it nonetheless follows that it – and with it every ecclesial community and every individual Christian – precisely on the basis of the faith must take on its responsibility for human society as a whole, exerting itself in the areas of the world of work, of the international economy, of social and individual justice, of peace in the world and so on. This entry was posted in JUSTICE, LIBERALISM, LIBERATION THEOLOGY, MORAL RELATIVISM, POPE BENEDICT XVI, POPE FRANCIS, RELATIVISM, SECULARISM, THE GREAT SOCIETY, WELFARE STATE. Bookmark the permalink.